An audience of millions watched as Måns sang the opening lines. But then the unexpected happened: a click of his fingers resulted in the apparition of a stick man with whom he interacted with for the rest of the track. What followed was a succession of stunning visuals as he donned virtual butterfly wings and spinned the world on its axis. No wonder it cruised into the competition’s final. The process started when Måns collaborated with Bounce Streetdance Company founder Fredrik Rydman and illustrator David Nordström to work on a performance that was based on 3D mapping technology. The idea was that the stickman (named after his childhood nickname MP) would represent a young Måns, and he would play the role of his friend who helped him through the problems that he experienced. 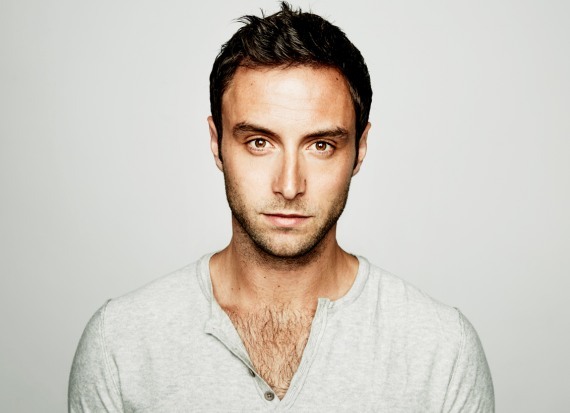 Måns then spent almost two months rehearsing to ensure that every carefully orchestrated movement was perfected. Heroes is a culmination of a long period of reinvention for the musician. Born in Lund, he grew up listening to Michael Jackson and Elton John, and embraced the freedom of playing guitar after growing bored of learning the piano. As he approached his teens, music became part of his identity: initially a bit of an outsider, that all changed when his gang noticed that older girls appreciated his vocal ability. Afterwards, however, he was again lost. He repeatedly turned down offers to appear on Let’s Dance, and only relented after he discovered that it would be based on the format behind its American equivalent. Måns and his dance partner Maria Karlsson won the contest, and he was suddenly in demand: he took the lead role in Grease and soon earned a recording contract, at which point he started writing songs. His solo career was launched with his first attempt to win Melodifestivalen in 2007. Although he finished third, his debut single Cara Mia topped the charts and was soon followed by his debut album Stand By For… After extensive touring and a break in which he joined the cast of Footloose, his second collection MZW was released in 2009, with Hope & Glory another near winner at Melodifestivalen. Måns then focused on his work as a TV presenter. As he admits, “I tried to be more of a celebrity than an artist, but that’s not me at all.” Music eventually called once more, probably because he wasn’t under any pressure to release anything. He headed to Spain with some friends to record his 2014 album Barcelona Sessions which reflected his appreciation of the likes of Coldplay and Bryan Adams. And yet that lurking desire to entertain returned, prompting him to recraft his approach. Heroes is an example of what he hopes to achieve with his next album which will be out later this year – a mix of the organic musicianship of the Barcelona sessions with the electronic influence of Heroes and a touch of the personality that helped him become so successful in the first place. And it’s a dream that’s a small step away from becoming reality.